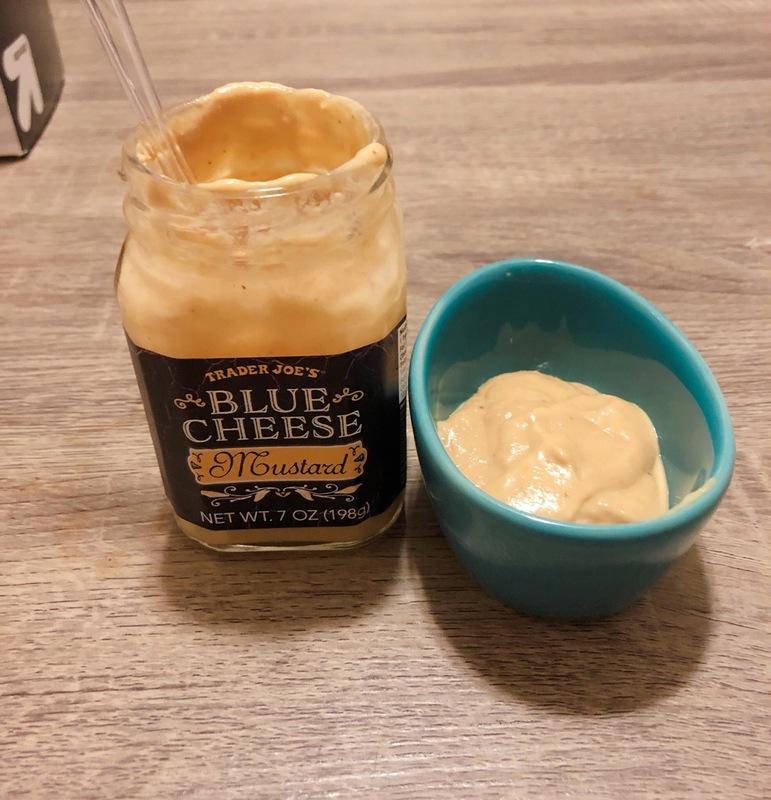 As soon as I heard Trader Joe’s had a blue cheese (my favorite cheese) & mustard (my favorite condiment) hybrid, I ran over to my nearest TJ’s! I just knew that it would would be the perfect pairing for pretzels. So I had the dip in my cart with my other om noms, and I was so excited. But then I get home & I forgot the pretzels. I wasn’t able to try my dream dip for 3 days until I was able to pick up soft pretzels from the grocery stores. It was better than I could imagine. The tanginess of the mustard (which is a blend of yellow mustard & dijon) is balanced with the bite the blue cheese. It’s a verify polarizing dip, one of my friends instantly said, “Oh I don’t like this.” as soon as she tasted it (turns out she hates mustard), while Wonda lauded how amazing it would be on a burger. So if you’re feeling bold, pop into Trader Joe’s & grab you a jar. I’m already on my 2nd one!